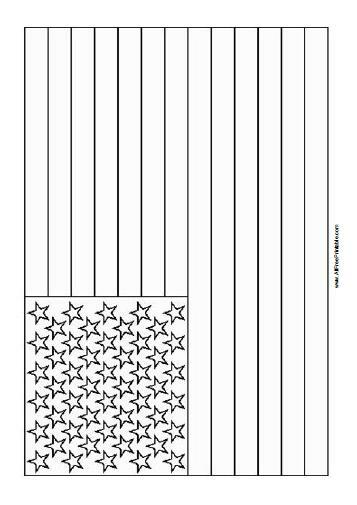 Free Printable United States Flag Coloring Page. Get the Free Printable United States Flag Coloring Page, a great activity for kids at Preschool, Kindergarten, Primary Grades and students at Geography classroom. Print your flag easily using your inkjet or laser printer and have fun coloring with your kids. The United States Flag Coloring Page has 3 colors, white, red and blue. Click the link below to download or print the free United States Flag Coloring Page now in PDF format. Print free World flags here. Thanks for the US flag coloring sheet. I am a veteran and am doing a talk about our flag for kindergarten. This was so helpful.